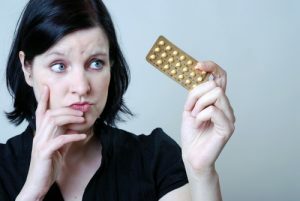 Effectiveness – How well does the method prevent pregnancy? Look at the number of pregnancies in 100 women using that method over a period of 1 year. If a pregnancy would be welcomed, a method that didn’t have as high of a success rate would be a reasonable choice. If an unplanned pregnancy would be devastating, a highly effective method should be chosen. Cost – is the method affordable? Availability – Can the method be used without a prescription, provider visit, or, in the case of minors, parental consent? Partner involvement – The willingness of a partner to accept and support a given method may affect your choice of birth control. Health risk – Are there any potential health risks? For example, it is not recommended that women over age 35 who smoke take birth control pills. Permanence – Do you want a temporary (and generally less effective) method, or a long-term or even permanent (and more effective) method? Preventing disease – Many methods offer no protection against sexually transmitted infections (STIs). In general, condoms are the best choice for preventing STIs, especially when combined with spermicides. There are many different methods of birth control to choose from. If you have questions about contraception, call today and make an appointment with one of our staff to talk over the options that would be right for you. Which one of the issues listed above was the one most important to your decision about birth control? You have Breast Cancer – Now What?